My family didn't travel when I was young. There wasn't much money for anything beyond the essentials or even a belief that seeing the world had value in itself. I think my desire for exploring beyond the known came from avid stamp collecting and an early obsession with maps. The pages of my stamp album reached from Argentina to Zanzibar; I especially loved the stamps of the Cook Islands with their gold silhouettes of the queen and miniature reproductions of Paul Gaguin's paintings. I imagined places filled with art and light. The one exception to the Rich family travel ban was our road trip to Missouri. One summer we clamored into my dad's pontiac and drove west to see cousins in Creve Coeur and Olivette. I sat in the back seat with my sisters and watched my world expand exponentially each day. We stopped off at Holiday Inns and Howard Johnson Motor Lodges which were this small girl's idea of the Ritz. Along the way my parents must have pulled out the AAA games that once came free with the hotel brochures and fold-up maps. I remember green pencils and special cards saved for when my parents needed some peace. The license plate game! I remember the wild and reckless joy of finding the orange and blue Alaskan plate speeding along the Canadian highway (we traveled by way of Niagara Falls). 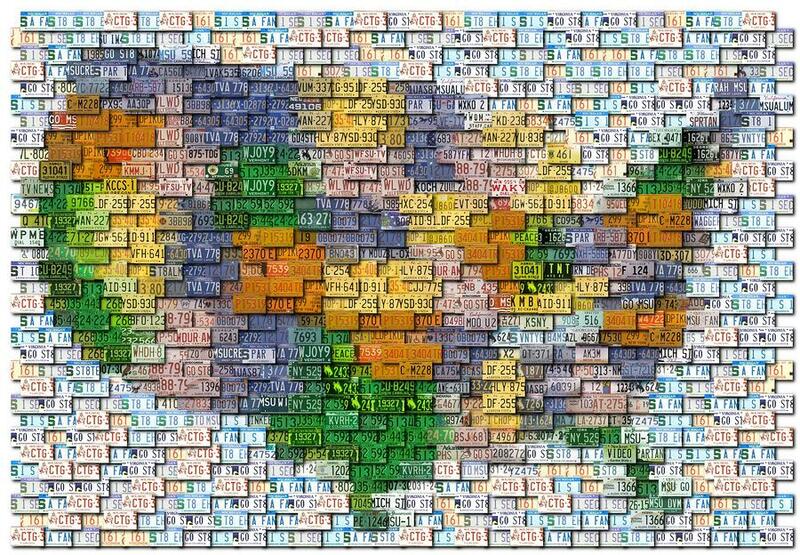 The game is simple: the one who spots license plates from as many different states as possible wins. I don't remember the score but I do know that the joy of seeing those colorful metal plates with their odd sayings and images made the trips far more exciting. How profound it seemed (to a nine year old) to see "Live Free or Die" on the back of a car. Philosophy for the road! So when it came time to begin sending my poems out into the world, I came up with my own version of the game. First, I began mailing poems to states where I had never been. How extraordinary to know that they could travel too. Thank you Alaska Quarterly Review and Bellingham Review for being two of the journals that first accepted my work. Journals I still believe in and send to regularly. It is now twenty years since I first started playing my poetry version of the license plate game. Early on, I decided that instead of focusing on sending my work to the country's top ten journals, I'd try a strategy that suited me better. Nothing wrong with sending to the New Yorker, but I wanted a lighter, more joy filled path to publication. My goal is to have a poem published in each state in the country. States I know well and states where I have yet to travel. As of today, my poems have found publication in 41 states. Thank you to the Heron Tree and Kestrel Journal of Art and Literature for making my New Year's Day. I was able to check Arkansas and West Virginia off the list yesterday. Still elusive are the Dakotas and New Mexico, Delaware and Kansas. I know many writers who would rather dust than sit down and send their poems out into the wide world of journals. I am not one of them. I love imagining editors at their task. In my mind they are kind people with cups of coffee by their side. It's late at night and the poems spill onto the kitchen table, the living room rug, the cat sleeping by her side. My hope is that my poem might jolt her awake for just one moment. Or two. 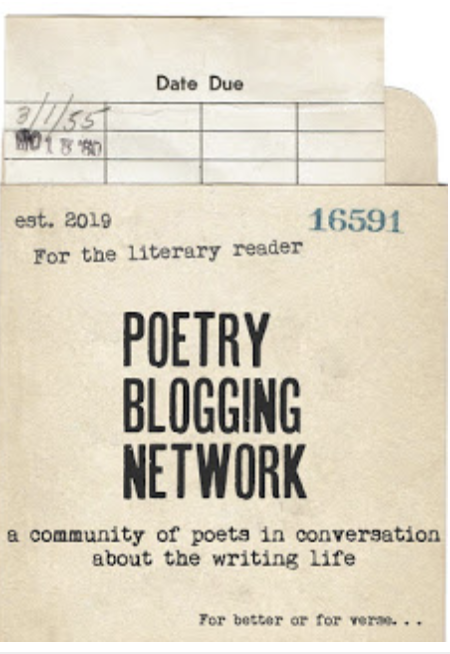 The connection of poet to poem, poem to editor, seems a magical thread between lives. Like a license plate game or the tossing a message in a bottle into the sea, I hope my poems find a way to extend my world. And hopefully, if it's not too much to ask, my readers' worlds as well. This blog post was an extremely enjoyable read. Also, big congrats on your WV acceptance, Susan! Great news! Thank you for your kindness! If it wasn't for you I wouldn't have known to send to Kestral. My plan was to send you a big thank you note today. Your too quick for me. Hope you're doing well -- and that the pain meds have kicked in for your back. Already looking forward to our time at the Sylvia Beach Hotel and Poets on the Coast. Thank you again for being a huge help on West Virginia! I think that's a fun way to go about the submissions process. Makes acceptances more meaningful. I think it also helps keep the submissions process playful; it also helps me with geography. An added benefit! Hope your 2013 is off to a wonderful start. I love this idea for submitting. One of my writing goals for the new year is to send out more stuff, this is a fun way to think about going about it. I'm glad you found my post useful. I have found it extremely liberating over the years. If you know a good journal in Delaware or the Dakotas let me know! Great piece. I want to play! Patty; would love to have you join the game! You can begin by counting up which states you can already cross off the list. Dive right in! Delightful to learn about your love for stamps and maps. What an inspiring post! And congratulations all around! This is so beautiful! I honestly never thought of submissions as a game before, and you make it sound SO joyous. I can't wait to approach it with that joy! Such a good idea, Susan! It takes away the anxiety of submission and replaces it with the playful, and might I add, slightly OCD gambol through the alphabet of state names. I love to line things up. This just might work for me too!